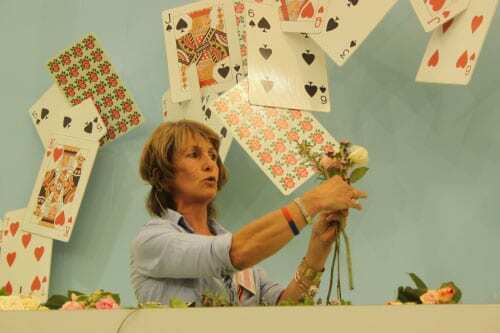 At the RHS Hampton Court Flower Show this year, there was ‘A Wonderland of Roses’. 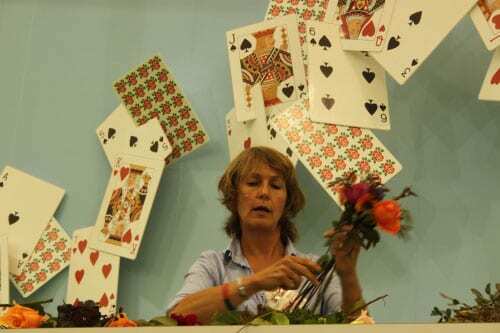 In one of the tents, there were fifteen exhibitors from the rose-growing industry and all the stands were inspired by the classic book, ‘Alice’s Adventures in Wonderland’. 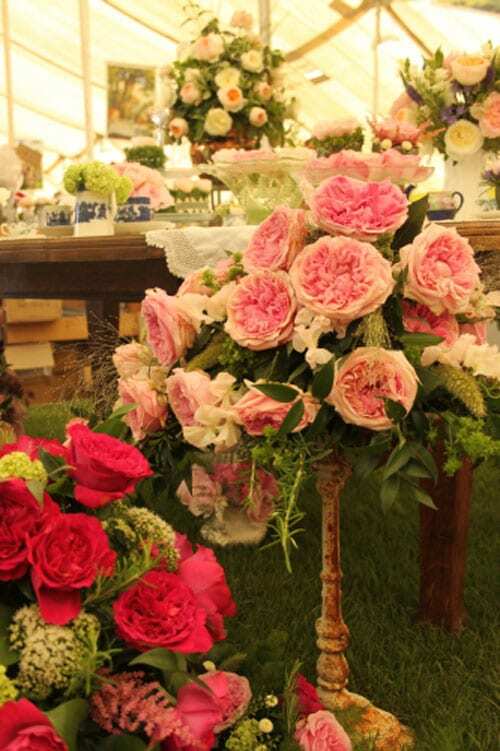 David Austin Roses‘ gorgeous stand really caught my eye and I’ve featured three photos from it in today’s post. 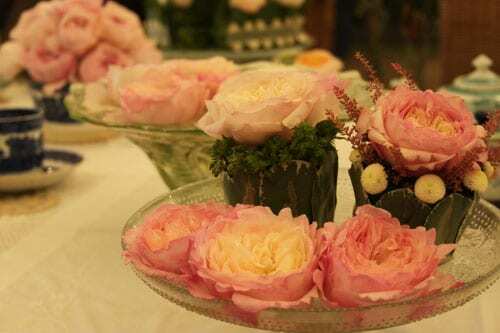 I loved the afternoon tea scene, where a variety of roses were arranged in vintage containers and glassware…a look that’s very much ‘in’ at the moment. 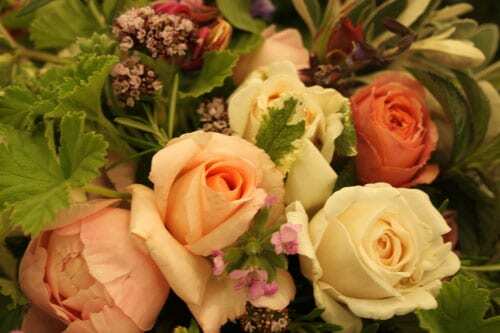 Rosebie made two bouquets, firstly one of pale colours, including ivory Margaret Merrill, pale pink St. Cecilia, pale peach Evelyn and pale apricot Chandos Beauty roses, plus a very unusual green rose called Viridiflora. 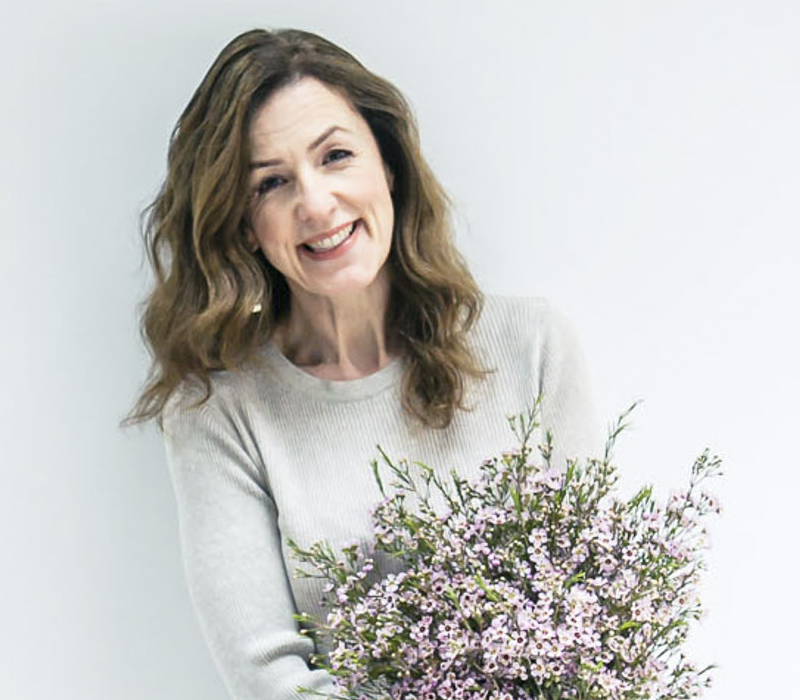 These beautifully scented blooms were combined with chocolate mint, jasmine, pink honesuckle, variegated mint, scented geranium, oregano, rosemary, senecio and purple sage flower. 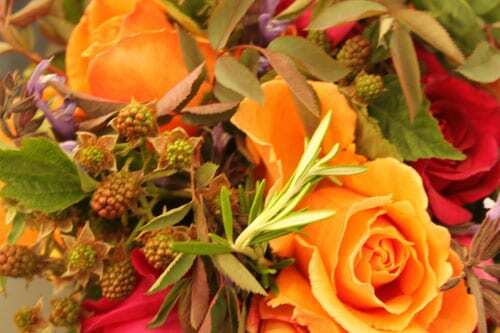 The second arrangement had a much more vibrant colour scheme. 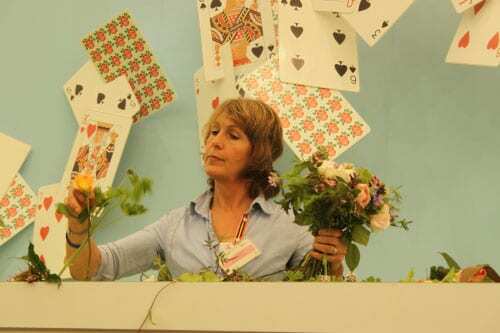 Orange Just Joey, red Proper Job, pink Princess Alexandra, red Deep Secret, Big Purple, Rosa glauca and striped Rachel Louise Moran roses were arranged with honesty, purple sage, rosemary, pheasant bush and cultivated bramble. 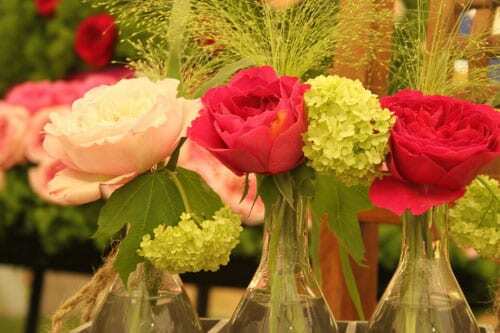 Rosebie passed both bouquets around the audience and their fragrance was exquisite. 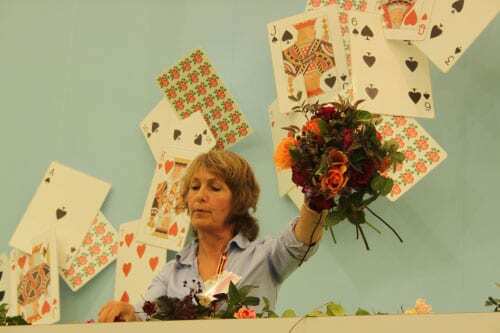 Watching her using such beautiful plants which can be grown in any of our gardens, really made me start thinking about growing more herbs and foliage in my own garden, so that I can create bouquets with such an informal style. 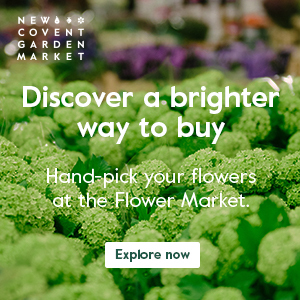 So, I hope you’ve enjoyed my three posts about the RHS Hampton Court Palace Flower Show 2011 and that you’ve been inspired to make some changes in your garden.